Numerous awards in Croatian trade press and in the wine magazine "Decanter" demonstrate the outstanding quality of this top-quality wine. The grapes for this wine come top of the steep slopes above Cavtat in Dubrovnik. 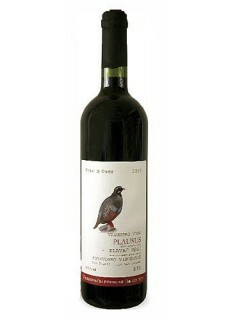 Grape comes from old vines situated on best locations for the Plavac mali. This vintage wine is matured slowly in new oak barrels, where it gets its distinctive aroma and flavor. After the selection of the best barrels of the vintage, the wine is bottled unfiltered. The wine smells of Dalmatian wild cherries and rum, tickles the palate with extremely fine texture and flavors of wild cherries in liquor, licorice and dark chocolate. Food pairing: Game, veal, smoked ham steakes. Historically, viticulture has since ever been the leading economy for the local family and for the community. The Dubrovnik Republic paid true attention to it, as can be seen from a 1424 A.D. decree defining the prices of the wine, with the exception of the Malvasija produced in Konavle to which no limits were set. The company's experts have striven to revive the historically vital sort on the plantations that suffered immense damages in the war, aiming to restore this so precious sort and to reinstall it back on the local and international markets.